In the year 2005 the first vine has been planted at the winery DiBonis in Subotica-Horgos area. Even though this known vineyard area is best known for its different white wine selection, the owner of the vineyard, Laslo Boni, has decided to plant world known red vines such as Shiraz, Cabernet Franc, Merlot, Pino Noir. 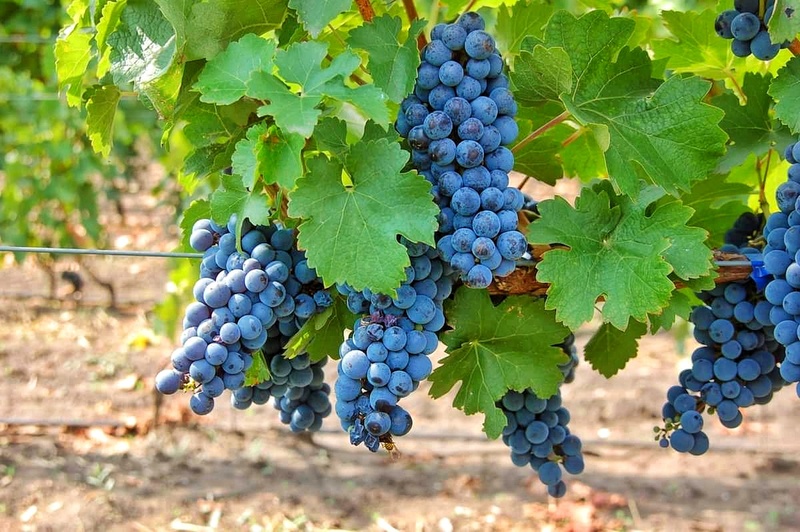 Keeping in mind that Subotica is one of the cities with the biggest number of sunny days per year, red vines mature well, especially Shiraz, which is relatively new and not widely grown in our country. Shiraz vine, which we marketed and branded as Di Shiraz, has brought quite a reputation to our winery. Naturally, we offer other numerous, yet of equally good quality, white wines from our vineyard made of Sauvignon Blanc and Muskat Otonel grapes. Salas, traditional Vojvodina farm, is sort of tradition keeper and represents the place where you can reveal the olden days secrets, customs and culture of our forefathers. In our area vineyards are the natural part of many Salas farms, since Subotica-Horgos sands is well known vineyard area for centuries. Following the tradition of our ancestors we bought Salas with vineyard in Radanovac village in close proximity of Subotica and Palic lake. Next to already existing house with additions, we have built jurta, traditional baking fireplace, fireplace with the cauldron, barbecue, terrace, wine cellar and lookout spot that allows you to see vineyard that gives you impression of peaceful ambient of typical Salas in Vojvodina. Vineyard tour is part of our rakija and vine degustation offer, next to numerous local gastronomic specialties prepared by our personnel. In the year 2008 winery has received its present looks when the latests technology has been introduced to the premises. This technology is mostly used in New Zealand, Australia, South African Republic, Chile and Argentina and it is called the Technology of the new vine world. Within a year of the introduction of this technology, in the 2009, DiBonis Winery got its name. In DiBonis Winery's case technology is combined with the area's natural abundance, together they create the particular aroma and bouquet. Next to the laboratory, in which our experts control the process of production and maturing of vine, winery has a special room with Inox barrels in which they produce reducted wine. In barik room we keep the barrels made of American and Hungarian oak in which our red vine matures for 2 years, only after that period the vine is being bottled. At the numerous local and international fairs and wine festivals winery DiBonis has won large number of prizes for the quality. 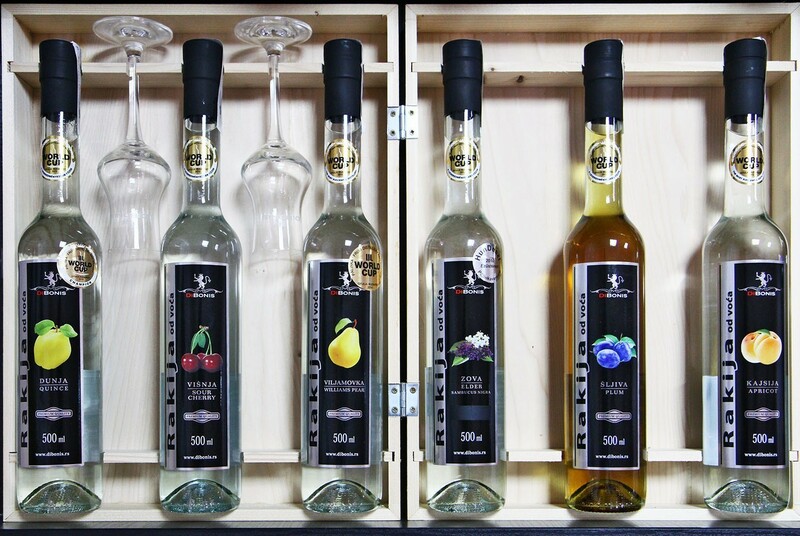 In a short period of time DiBonis distillery has become widely known for its production of high quality rakija and its reputation has benefited from the prizes won for the high quality product both at the local and the international fairs and wine festivals. In order to make rakija of extraordinary quality it is of utmost importance to approach every phase of the production with dedication and competence, from the harvest, processing, fermentation, distillation to the process of maturation and the formation of the aroma. Natural richness of the Northern Backa area gives possibilities to the producers to make rakijas from the unusual ingredients such as elder tree flowers, blackberries, raspberries or wild strawberries. When the latest distillery technology and equipment has been purchased from the German producer Kothe in 2008 distillery has been officially opened for work. DiBonis is mostly using the fruits from its own orchards and the fruits grown by the other producers from Subotica that grow their fruits on a rich soil of Northern Backa. Distillery DiBonis pays minute attention to the details in every rakija production process. Therefore, the satisfaction and pleasure that one gets from the taste of our rakija is a product of absolute dedication, the best quality fruit, latest technology, know-how of our experts and love. 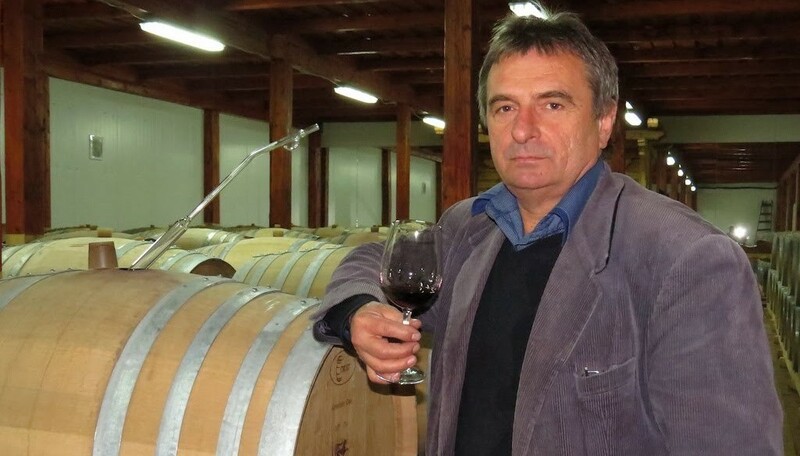 Laslo Boni, the founder and the owner of DiBonis Winery, comes form Baranja vine area in Croatia, where his ancestors owned the vineyards and produced wine for generations. Even though hi is electrical engineer, Laslo has decided in 2004 to continue family tradition and started independent winery and wine adventure. Which turned out to be quite a success. That way he became the representative of his family's forth generation of wine makers. In 2008 he successfully extended his business to the production of rakija. Even though Laslo was already mature man when in 2011 he decided to enroll Oenology Faculty in Budapest in order to gain particular sett of knowledge related to vine growing and wine making, which he successfully accomplished.